…Or I could title this seriously and call it “My Favorite Skin Care Products for Acne Prone Dry Skin.” But that’s less fun, so I’m leaving it. And yeah, you read that right, this acne suffering chick has dry skin, not an oil slick. As my esthetician (the fancy name for Lexi, my girl at skoah where I get facials) tells me, its the dry skin that’s at least partially responsible for my break outs and clogged pores. Awesome, right? But in all seriousness, I thought it’d be fun to share my favorite skin care, because some of these items have saved my life (slight exaggeration) and made me much happier come that special time of the month. 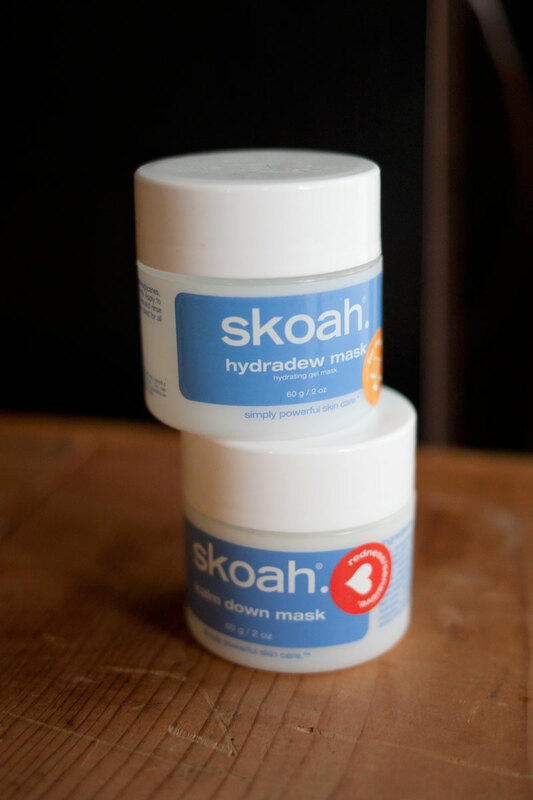 As I mentioned above, I splurge on a facial every other month at skoah. I wish I had done this sooner – I suffered for years with pretty bad acne (and still do, from time to time, get those nasty ones that really, really hurt). Seeing a “skin trainer” really helped me understand that keeping my skin hydrated and using gentler products would actually HELP my acne, not make it worse. I used to flood it with too many harsh scrubs (none of those bead ones for me), washes, and treatments and it really just made my skin more angry and thus exacerbated the problem. So now that you’ve seen my skin regimen, what’s yours like? I’d love to hear about your favorite skin products in the comments! Josie Maran’s Argan Oil line is great – it’s perfect for sensitive skin (and probably all other skin types too, honestly!) Aquaphor is also a life saver, glad you agree, Jae! I do use Argain oil for my face (as moisturizer) and hair. They’re amazing! I apply Aquaphor, however, on my lips overnight because I’m that type of person who always have chapped lips regardless of the weather. Or that I’m simply dehydrated. I’m with you Jae, my lips are chapped year round too! I’ll have to try Aquaphor on my lips and see if that helps too! You’re so good at your routine! I, admittingly, am awful and literally wash my face and go. Oops. I’m jealous that works for you! I wish I didn’t have to have this crazy routine, but without it, my skin hates its life. Oh I’m horrible with this, I wash my face and moisturize but that’s it! Sometimes I’ll do a scrub or mask, but it’s rare. I really need to take better care of my skin! All these products look amazing! If that’s working then I think that’s fine! I was only doing that, but my skin really needs the extra hydration at night and the exfoliation weekly. I’m working on my ‘Fall Beauty’ post now. I’m on a ‘anti-expensive products’ kick right now. Aquaphor is amazing! I use it on my lips, really dry areas and my feet. I’m curious about the Josie Maran oil. Does it really remove eye makeup easily? Yes, and the cleansing oil is non-irritating for eyes as well, even contact wearers! Thanks for this post! I had been looking for certain nightly treatments for my lips and this gave me two great options to try out! Yay, so glad it was helpful! 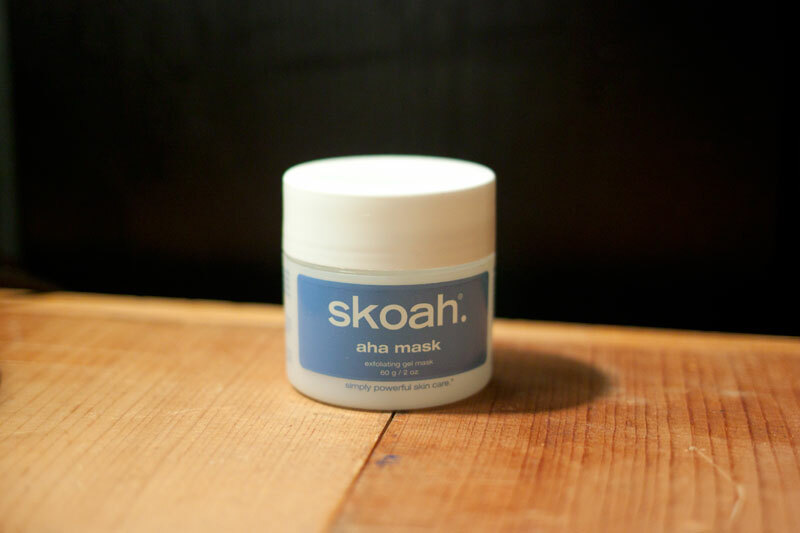 I haven’t heard of Skoah, but I need to check it out! I love Aquaphor- I just burned my arm last night cooking and I slathered it with Aquaphor right away for instant relief! Ah good call on the Aquaphor, so helpful with burns! I have used some of these in the past…others I need to try! Thanks! Of course, glad it was helpful! I have eczema too, and I loveeee aquaphor. They sent me some coupons recently because I use so much and it adds up, haha. Love this post–it’s so tough to have sensitive dry skin sometimes. 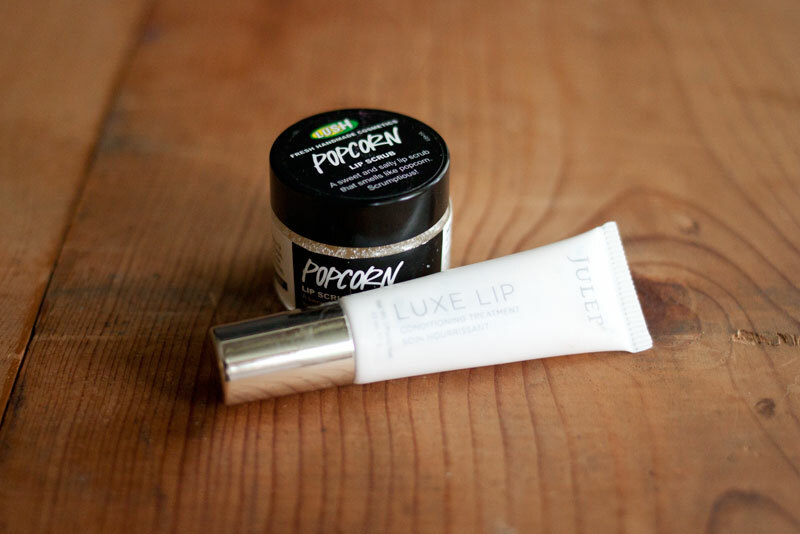 I’m excited to try the lip scrub–so funny that it’s popcorn flavored! They also have a bubblegum flavor, but I’m partial to the salty-sweet combination! Sensitive dry skin is definitely difficult but glad there are things out there to help like Aquaphor! Well you obviously know that I like the Paula’s Choice stuff … I use it all over my face though, not as a spot treatment. 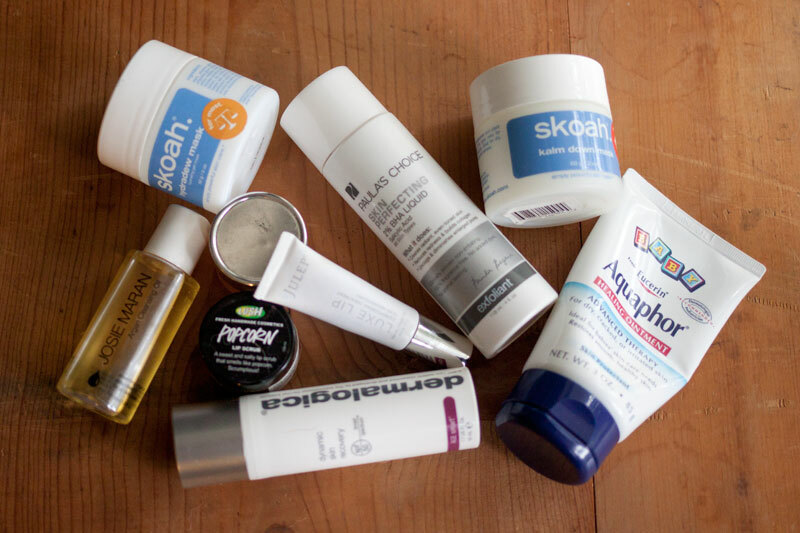 The only other thing I’ve tried from this list is the Dermalogica Moisturizer, which didn’t irritate my skin, but I absolutely hated the smell and couldn’t get past it. :( The skoah Hydradew mask sounds AMAZING though. I want watermelon-scented skin plumping magic! My skin is a bit too sensitive to use it all over, otherwise I totally would. 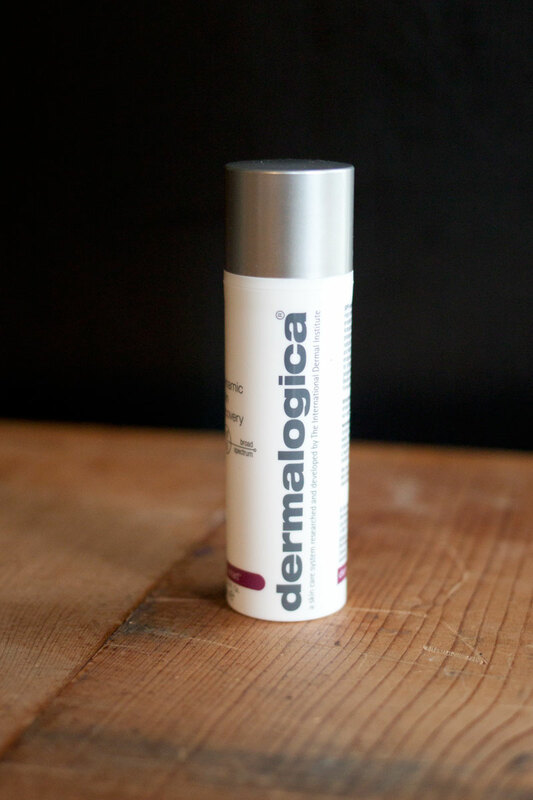 Bummer about the smell with Dermalogica, I noticed it, but I kind of like it! I do think you’d like the scent of hydradew, smells like summer! I have heard a few people say that Coconut Oil actually made their acne worse. Not sure if you’ve had that experience, but something to consider! 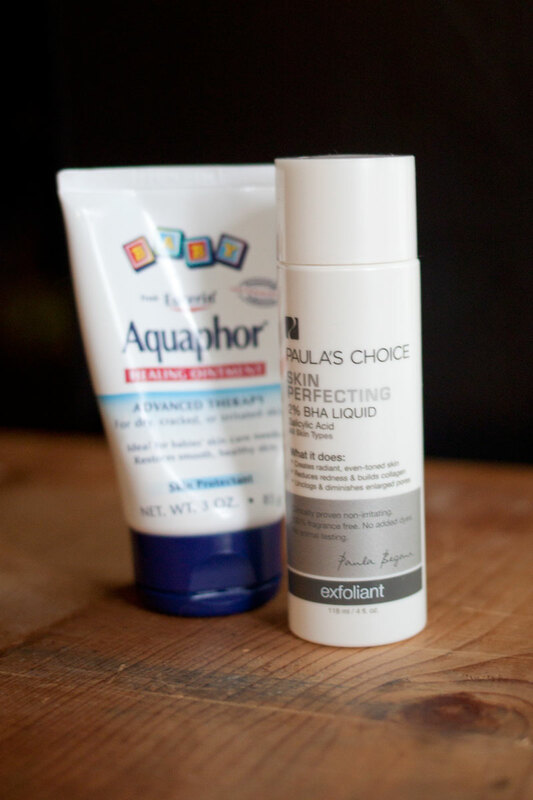 I’d definitely recommend the Paula’s Choice BHA line, if not the liquid the lotion may be better if your skin is pretty dry! Wow, I never realized that dry skin can actually cause acne! I always have at least mild acne, yet i have such dry skin that sometimes after I take a shower my face actually hurts! I have been avoiding using moisturizers because I thought they would cause acne… but now I see that it can be the other way around! Sadly, I don’t have the money to spend on a good skin care ritual. Do you have any recommendations for somebody who needs to shop at Target? Hi Angel- have you tried using Rosehip Oil? It’s reasonably cheap, and you only use a tiny bit, and although I was scared at first about putting an oil on my face, it is so, so good. Another cheap/good moisturiser/makeup remover is coconut oil- which you can get from the grocey store. Oh no! Sounds like your skin is pretty irritated! I had to quit anything that has alcohol in it, anything with physical scrubbers (no sugar scrubs, anything with exfoliating beads, and no apricot scrubs!) and I also find I’m sensitive to talc used in a lot of makeup products. As for recommendations, I’d check out Cetaphil, which is mild and dermatologist recommended. I think their moisturizing cream would probably be really helpful, and their cleanser should be pretty mild. Another option to try is oil cleansing, using olive oil or a blend of oils. I’d also check out the Yes To line. For a daily moisturizer, this one from Yes to Cucumbers is geared towards sensitive skin. I want to try the Julep lip conditioner and the Josie Maran cleansing oil! I’ve also heard really great things about the All About Eyes! Thanks for sharing these – my skin has been freaking out lately and I definitely need to change up my routine a little! Of course – hope they’re helpful! I imagine your skin has a little more going on these days with hormones from baby! Thanks so much for this recommendation. I was actually putting in an order with Paula’s Choice this week and I requested a sample of the Skin Perfecting Liquid. Can’t wait to try it out! Awesome! Hope it works for you! :) What else do you use from Paula’s Choice? I’m a dry skin acne girl too! Have you tried exfoliating peel pads? I love the ones from malin + goetz, Dr Dennis Gross and Origins, for a 2-3 times a week proper clean. Plus I’m obsessed with La Roche Posay’s mosturisers, so light but also hydrating. 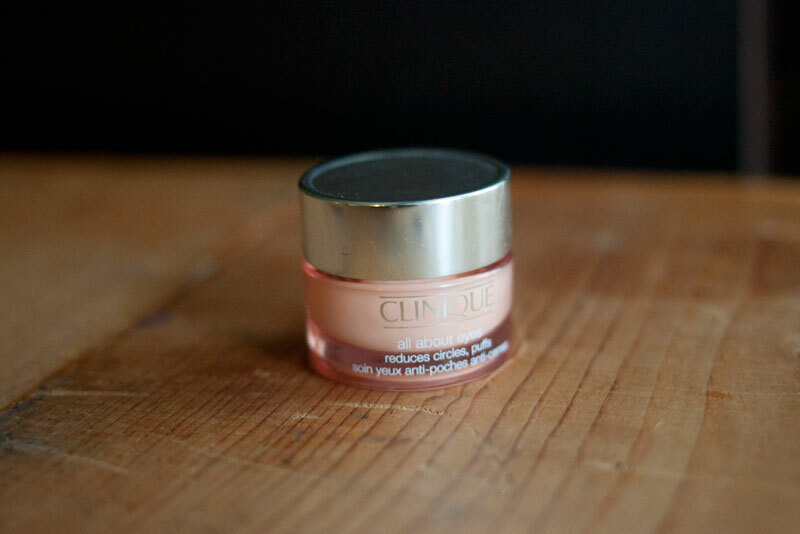 It’s a hard life for us acne-dry girls! I haven’t! I’ll have to check those out, thanks for the recommendations! I really like the Charcoal mask from Origins to declog my pores every so often too! It definitely is a challenge to find the right mixture of products, isn’t it?! As another girl with acne prone skin, I totally feel you, lady! I actually did a similar post, if you want to trade secrets (http://oddlylovely.com/5-incredibly-effective-acne-fighting-products/). I also LOVE the popcorn lip scrub from LUSH. Delicious. Plus, I was blown away by how well a lip scrub helps your lipstick stay on! Who knew? Oooh, I will totally have to scrub my lips before applying lipstick next time, normally I just do it at night before bed a few times a week! Great idea, and loved your post too! This skin care reggie really isn’t that bad, it’s nothing compared to the Korean skincare routine. It’s also good that you’re starting young! The only things I would suggest would be to avoid parabens, adding in some organic rosehip seed oil (I swear by that stuff for keeping away crows feet), and incorporating some facial massage into you routine.